“I wasn’t really into singing. 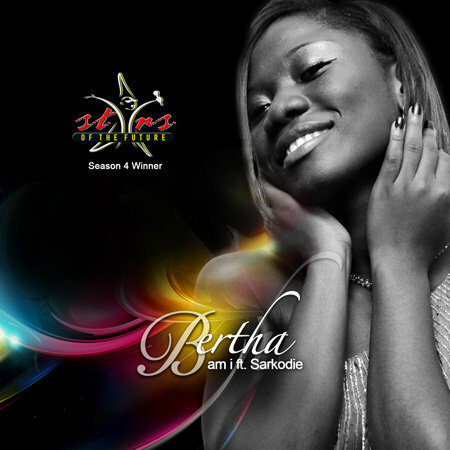 I will sing along when someone is singing.” Bertha speaking about how she got into music. In 2012, her voice captivates the hearts of thousands of music lovers all over the world on a daily basis as her music, works of her own creative genius, is on replay on the major radio station across the country. Born Bertha Bridgette Kankam, she says her showbiz name is now ‘Yaayaa’. For now, let’s just say, that is another story for another part of this piece. She is from ‘Oseikrom’ aka Kumasi (she smiles at this point) and specifically from Kokoben due to her matrilineal heritage. School started in the Martyrs’ of Uganda then to St Louis and now the University of Ghana where she is studying theatre arts and music. She is from a family of 7; made of parents, 3 girls and 2 boys with her inclusive. Armed without a vocal coach, she says “the only thing I did was to rehearse alongside the music that was played and I challenged myself. So if Whitney hit this kind of note, I will rehearse on and on till I am able to hit that particular note or probably do it better than she did… I didn’t really know I could sing because people used to make fun of me. When I was a kid I used to have a very deep voice. It was bad”. Just like all other teenagers, things changed when she went to Secondary School. “It looked like people wanted me to sing most of the time so it built some confidence in me. I decided to better myself every day because i realized that people wanted more of me”. And people have been wanting more of her since then. “I decided to record on my own”. Teaming up with her brother, she did some sessions in Kumasi and finally ended up at the front door of ‘Kawa’, the “I don’t know what I go talk” sound engineer. “We did ‘Am I’. So ‘Am I’ was the first song I ever dropped song I ever dropped after Stars of the Future”. The promotion of the song however was not as she expected it to be but giving up was not an option.